SKEMA Business School is a top ten French global business school. Member of the “Conference des Grandes ecoles” and internationally recognized: triple accreditation EQUIS, AMBA and AACSB as well as the FT rankings: MSC Financial Markets and investments (ranked 4th worldwide), and Master in Management (25th best in the world). The school has 6 campuses worldwide, in France (Lille, Paris and Sophia Antipolis), China (Suzhou), the US (Raleigh) and Brazil ( Belo Horizonte). 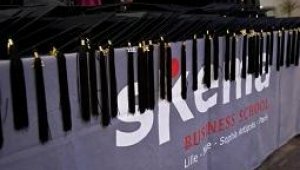 SKEMA has a network of 40 000 graduates in 140 countries. 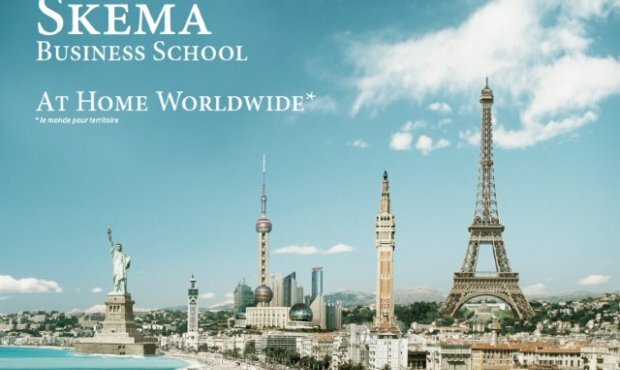 SKEMA Business School is a top ten French global business school. Member of the “Conference des Grandes ecoles” and internationally recognized: triple accreditation EQUIS, AMBA and AACSB as well as the FT rankings: MSC Financial Markets and investments (ranked 4th worldwide), and Master in Management (25th best in the world). The school has 6 campuses worldwide, in France (Lille, Paris and Sophia Antipolis), China (Suzhou), the US (Raleigh) and Brazil ( Belo Horizonte). SKEMA has a network of 48 000 graduates in 140 countries. SKEMA School of Knowledge Economy and Management defines the school’s ambition : to be the point of reference among Business Schools internationnally. 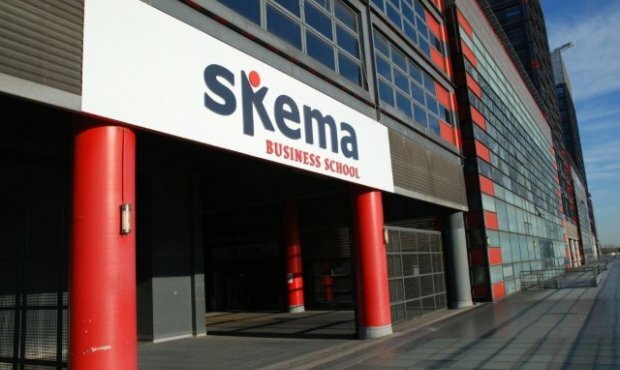 Skema prepares students for the reality of today’s businesses, antcipatng the careers that emerge from the combinaton of academic research, single or multisite programmes and the involvement of businesses in the design and operation of programmes. As a student at Skema, you will be exposed to unforgetable experiences and will be ready for work all over the world. Skema’s dynamic is yours: with our programmes, you will discover, learn and be ready to live in an interconnected and multipolar world. The campuses are located in well-known science parks or business centres and offer students exceptional opportunities and career prospects. Skema has a faculty of 160 members who devote all their working time to Skema. Courses are also given by numerous practitioners who are experts in their fields, as well as by visiting professors from partner universities abroad. In addition to their own teaching activities, permanent faculty members develop programme content and liaise with practitioners and visiting professors to provide students with a seamless learning experience. The missions of Skema’s faculty do not stop at teaching – they also carry out academic research in areas closely related to the business environment, supervise students and coach them on their future career choices. The Skema Career Center helps its students and graduates to gain all the key skills necessary to succeed in today’s challenging workplace and to achieve their career goals. The Career Center also develops partnerships between Skema and local, national and international companies. 2015 graduates work in sales, finance & accounting, marketing and consulting. The BBA in Global Management is a unique undergraduate programme that leads to an international degree, recognised by the French Ministry of National Education. This programme allows students to do one or two years of studies on our campuses in Raleigh (USA), Suzhou (China) and Belo Horizonte (Brazil) or in one of the prestigious partner universities, then obtaining a double degree. Students have the opportunity to specialize from the first year, choosing among 13 different fields either in business areas or in dual competence domains. This program is open to students with a non-French bachelor degree. This programme is taught in Two-year. During the first year, students will study Advanced Business Management and Global Business Environment, At the end of the Master 1, all students may undertake a company placement of three months. During their final year, students have the opportunity to fine tune their profile and acquire specialised knowledge. Skema’s Master in Management diploma is recognised by the French state and endorsed as Master. It is 29th in the Financial Times Master in Management worldwide ranking (three-year average), and ranked 7th for its internatonal dimension (2017). Mostly taught over a one-year period, SKEMA's MSc degrees are entirely in English, and developed especially for students with a good bachelor's degree. These one-year programmes at SKEMA are taught entirely, or mostly, in French. The MS are accessible to students with a master degree (Bac + 5). They are professional-oriented programmes aimed at providing a specialisation or a double qualification to students, in accordance with companies needs. SKEMA Business School offers six specialised masters (Mastères Specialisés®) programmes. Prior educational background : Management, engineering, economics, business administration, humanities, languages management etc. 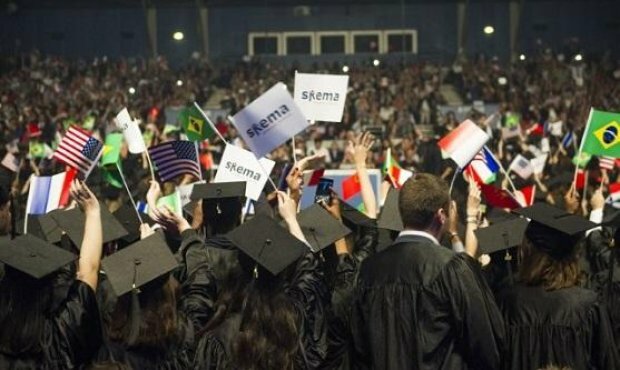 Skema Alumni is a network of nearly 40,000 in key positons located in 145 countries all over the world. Its vocaton is to generate business and career opportunites amongst Skema graduates, to contribute to their professional success and to bolster pride in belonging to one of the biggest alumni communities in the world.